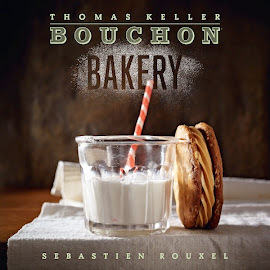 Bouchon Bakery Book Project: Happy Anniversary Bouchon Bakers! Well bakers, it's been a whole year since we started this blog. That's right, we have successfully completed 53 weeks of baking, for a grand total of 76 recipes! And that's not including all the creams and fillings we had to make in order to complete those recipes. Believe it or not, that's only halfway there. There's still a lot of baking in our future, with puff pastry, croissants, and breads still to come. To celebrate this occasion, we were inspired by the season. 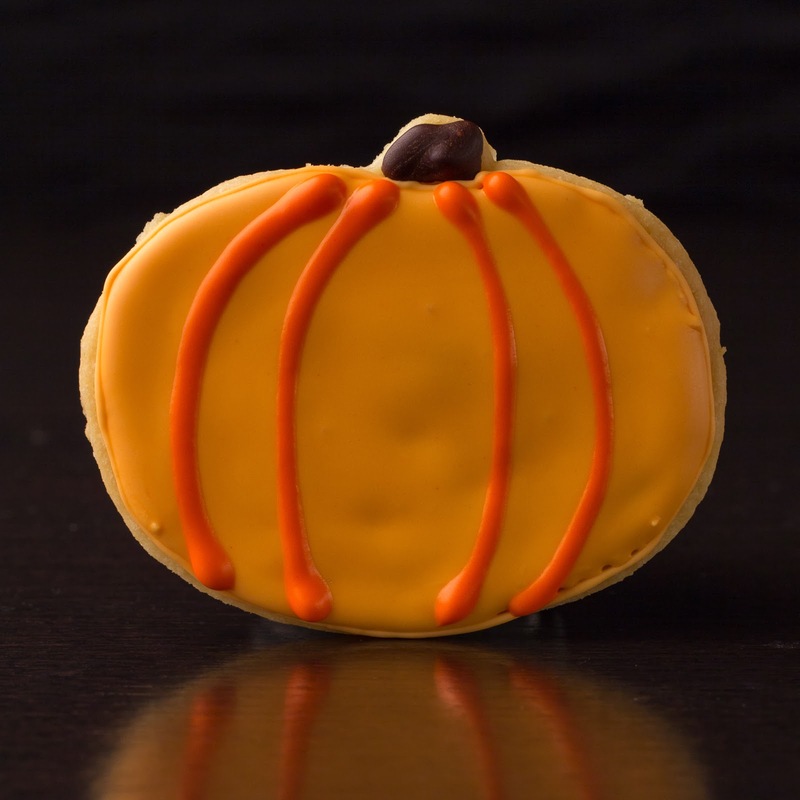 We decided to pumpkin-ize our favorite recipes so far, just like Bouchon Bakery does in its bakeries this time of year. Our bakers chose from a few options offered at the bakery, featured in this article. We hope everyone has enjoyed reading about our baking adventure, and that you continue to follow us as we finish the book. As always, feel free to email us with your own baking exploits, and we'll be happy to feature you on the blog. I chose to make the pumpkin shortbread cookies, although there's not actually any pumpkin in them. They're just shaped like pumpkins! Which is perfect, since I don't actually like anything pumpkin flavored. I made the dough the day before and rolled it out, making sure to chill it before cutting out the pumpkin shapes, and chilling them again before baking. They held their shape very well, and the recipe yielded about 14 cookies. The next day I decorated them. The royal icing recipe in the book is more of a glaze, so I borrowed a recipe from the domestic goddess herself, Martha Stewart. I used chocolate for the stem and two shades of orange for the pumpkin. Cute! For Thanksgiving I made these macarons. I flavored both the shell and the filling. For the shell, I added 1 teaspoon of pumpkin pie spice to the dry ingredients. It added just enough spice to resemble pumpkin pie. I also like the little specks of spice that appear on the shells. The filling is a classic cream cheese frosting - cream cheese, powdered sugar and butter that I added about 1/4 cup pumpkin puree. It is very subtle because the puree is not concentrated but when combined with the macaron shells, the overall flavor is just right. If using a cream cheese filling, these should be served the day of. I noticed that the next day when I kept them in the fridge the shells softened, I'm guessing because of the moisture from the puree in the filling. I would omit the puree and substitute for the pie spice. I really like the contrast of the tangy filling to the sweet macaron shells. There is a nice balance. 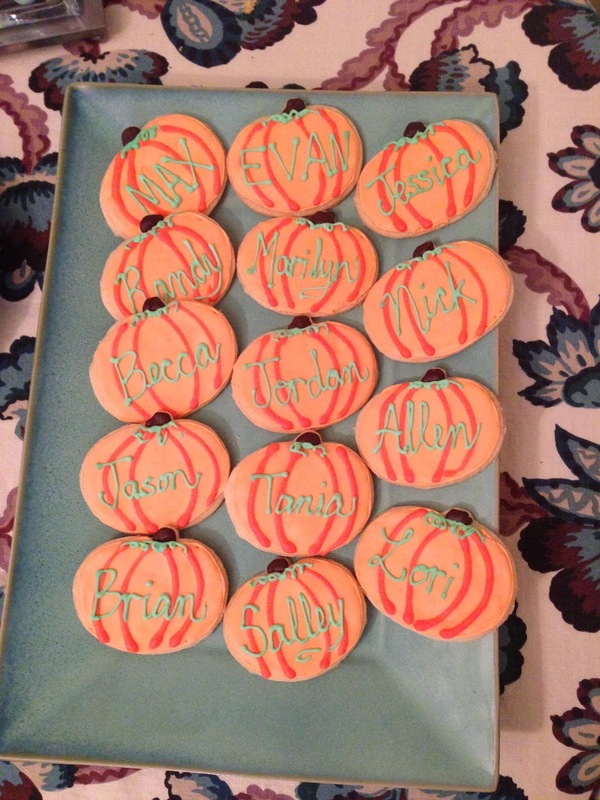 A fun, seasonal twist on the macaron!